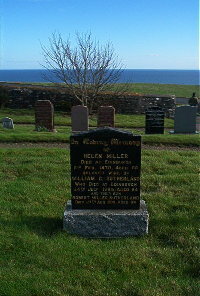 Helen Miller died at Edinburgh 6th February 1970 aged 66. Husband William G Sutherland died at Edinburgh 24th July 1985 aged 84. Son Robert Miller Sutherland died 27th August 1988 aged 64.